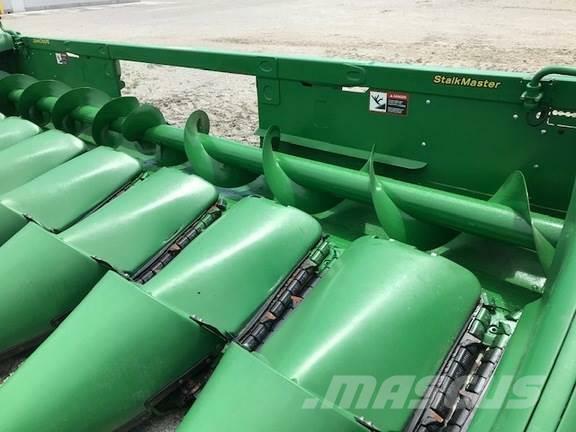 Drugi podatki Stalkmaster, Row Sense, HHS, Stubble lights, single point, hyd deck plates, opposed knife rolls, 700 Series upgrades, Rolls, Sprockets, Yield 360 Brush Chains, NDY Stalk STompers, rubber shields, MY 16' Ready Head. Call, email, or visit sloans.com for the current location of this item. Other websites show the location as Assumption, IL or Monroe, WI, while it may be at any of Sloan’s 20 stores.